The Old Sewing Machine Man services, repairs, reconditions, sells, and collects old and antique sewing machines. 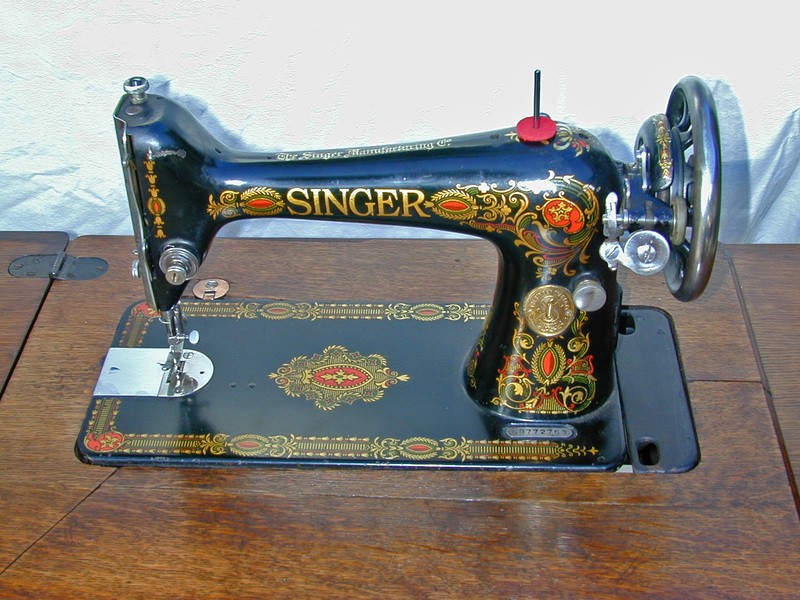 His specialty is the Singer Featherweight machines (model 221). He carries a full line of parts for them as well (see catalog). He also has and can get many, parts for other old, and antique sewing machines. He does not work on machine computer issues, only mechanical machine issues, and doesn't work on sergers. He specializes in old sewing machines for repair & sale, & old sewing machine parts. He's located in Central Florida between Gainesville and Ocala. See map. He also has a small museum, check it out, and all the museum pieces are for sale.He does ship parts if needed. Check back often to see how we make our new site more user friendly and interactive. If you have any questions, concerns or suggestions please use the "Contact Us" tab in the left block to let us know what you think. Please call (352) 867-8035 during normal business hours to make an appointment.Regular hours are Monday, Wednesday, & Friday from 9am till 4:30pm. Please call and make an appointment to make sure I am available. Other times are made by calling for an appointment. I am not always available as i have a life outside of my shop! Effectve May 1, 2018 machines not claimed, after the shop has finished with them, for longer that 30 days will begin to acrue a $10.00 a month storage charge attached to the service call bill. Machines left more than 90 days will be disposed of as abandoned property, by any means the propriertor chooses. NEW FEATHERWEIGHT CLASSES BOOKING NOW!!! 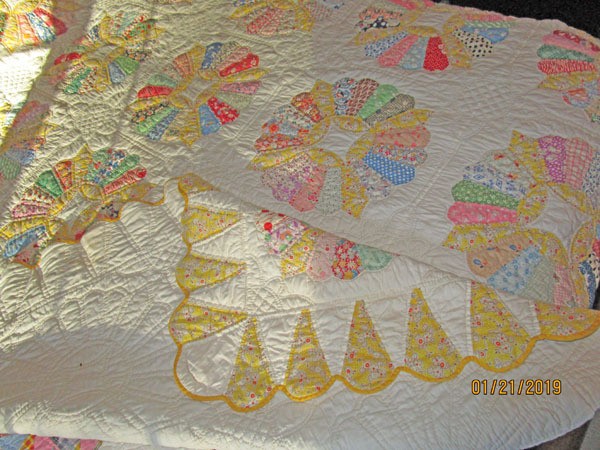 OUR NEWEST FIND FOR DEB'S QUILT COLLECTION!!! 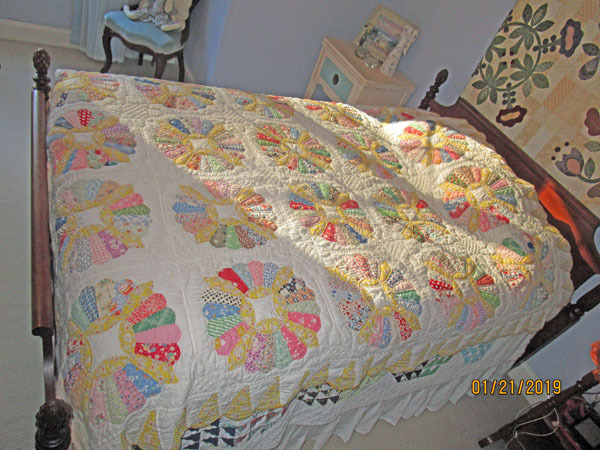 This is a 1935 Dresden Plate quilt with a distinctive, yellow pattern , 4 pointed design in the center of each Dresden Plate, which is the same yellow pattern as in the ice cream cone border. 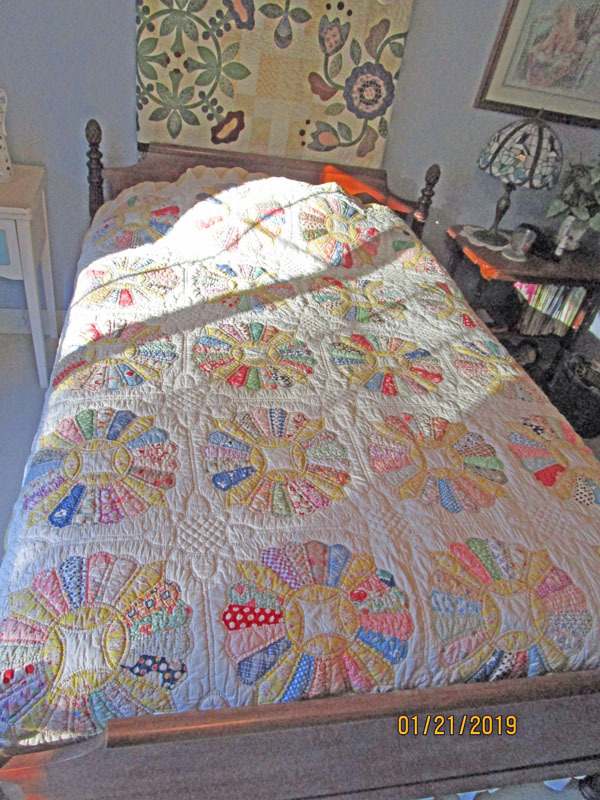 This exact pattern and date was shown in one of our antique reference books. Lots of 30's feed sack materials in this one.